Thanks, Mail Carrier | Join in the Fun and Adventure of Toopy and Binoo at the #ToopyandBinoo Twitter Party! Join in the Fun and Adventure of Toopy and Binoo at the #ToopyandBinoo Twitter Party! Although my kids would most likely watch just about anything that came on the television, I'm like most parents in that I'm much more picky. I don't expect every scene to be an educational, learning experience, but I do expect that the characters will be friendly, polite, age-appropriate and more. The newest animated series that fits the bill is one that has recently made its way to the U.S. and is already delighting fans and families of all ages — none other than the Canadian phenomenal hit show, Toopy and Binoo! 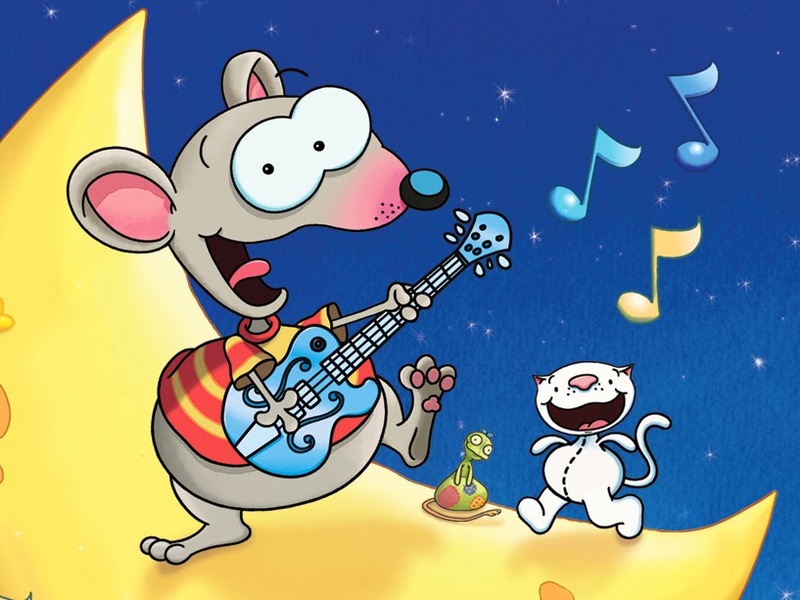 Now available for the first time ever to U.S. audiences exclusively on the Toopy and Binoo TV YouTube channel, Toopy and Binoo follows the adventures of Toopy, a tall, funny and friendly mouse, and his best friend Binoo, a tiny, clever and lovable white cat. Wherein talkative Toopy loves to chat about the duo's fun adventures, thoughtful Binoo keeps his lips zipped but gets his point across with playful gestures and actions. In all, the series is funny in an age-appropriate way while it teaches children daily skills and encourages them to use their imaginations. Why would you not want to inspire preschoolers (ages 2 to 6) to expand their creativity while reinforcing positive values such as friendship, good manners, creative thinking, and humor? So, as well as heading over to YouTube to take a look at these short, entertaining episodes, we can all get in on the Toopy and Binoo fun by joining the #ToopyandBinoo Twitter Party tomorrow, Thursday, February 20th, at 1pm EST! That's right, mark your calendar for tomorrow at 1pm EST when Twitter Party hostess extraordinaire, @ResourcefulMom, joins with @ToopyandBinooTV to host a virtual gathering to learn more about this wonderful series. Simply follow #ToopyandBinoo to participate and be sure to join in for your chance to win fabulous prizes, including Amazon.com gift cards and Toopy and Binoo plush toys. Find out more about this fun event and RSVP here! I was compensated on behalf of Toopy and Binoo for my time in sharing this information, however, all thoughts and opinions are honest and my own. Missed the twitter party. This looks like a fun cartoon. I have not heard of Toopy and Binoo before reading this post, but it sounds like a fun, great show for kids, thank you for this post.